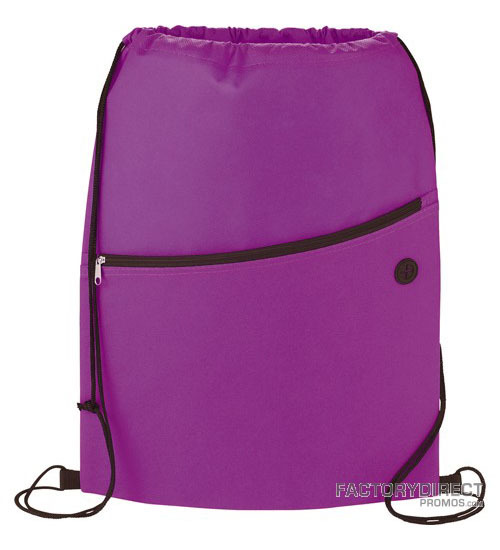 Our non-woven drawstring bags offer the style and convenience of a backpack with lots of handy add on features, like a front zippered pocket and an ear bud port. These bags are made from an 80 GSM non-woven material, so you get durability that ensures these drawstring bags can be used again and again, and eco-friendly qualities that match your company’s green initiatives. 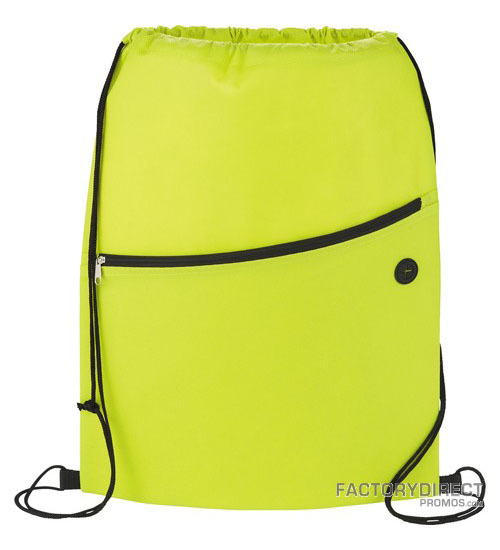 The drawstring design allows for quick and simple opening and closure of the bag and they are very comfortable and lightweight to wear. 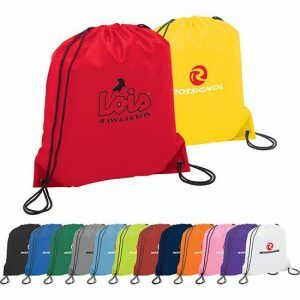 A perk of marketing your brand with a reusable backpack is that when the bag is being worn your logo will face everyone who is behind the wearer, so your branding message is clearly visible and put on display at an easy to read height. 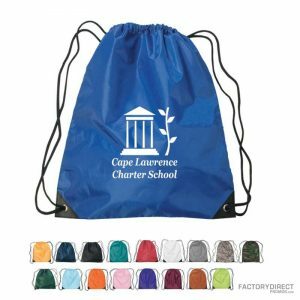 Our non-woven drawstring bags can be completely customized – so you can change placement of the zippered pocket, or add more pockets, or change anything you’d like about the design. You can choose from a variety of material colors and imprint colors – we can even match to PMS values to coordinate with your corporate colors. 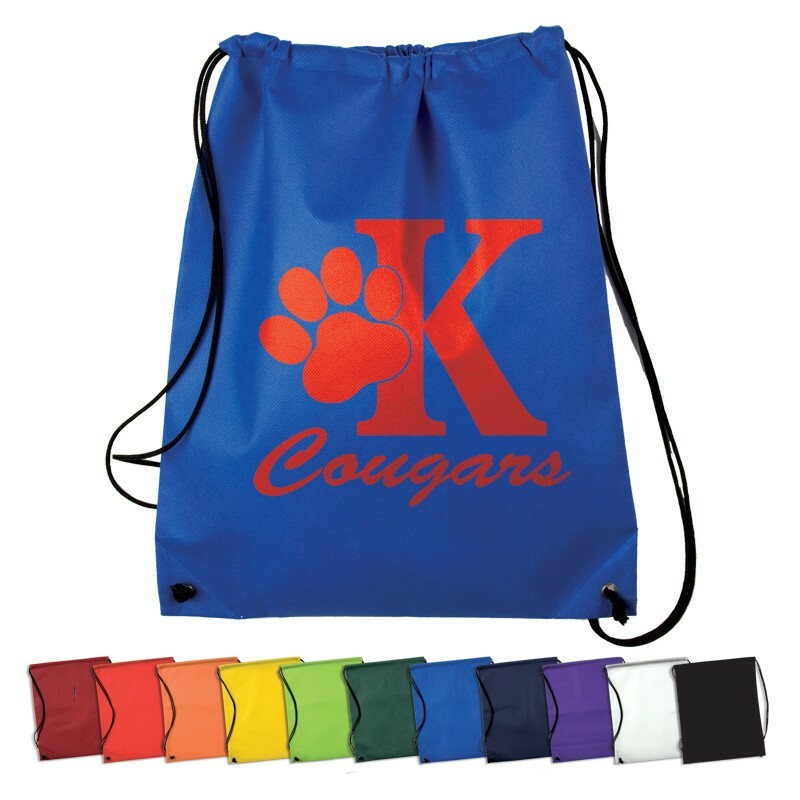 Showcase your branding message and your stance on environmental issues with our customizable non-woven drawstring bags.